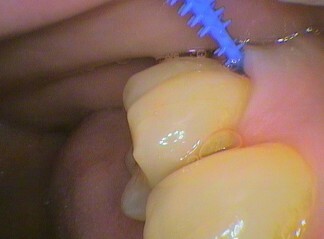 Mobility – this is how loose the tooth is. This is measured by the amount of movement by pushing from side to side i.e. from cheek to tongue/palate. Teeth have a natural movement of up to 0.25mm as they have a ligament which acts like a shock absorber between the root and the bone. Zero – no perceptible movement– healthy! One – movement up to 1mm – Some minor bone loss and/or loss of the ligament. Two – movement more than 1mm – Of more concern and greater bone loss and more advances bone loss and loss of attachment to bone. Three – movement more than 1mm AND vertical movement – This is not good and usually means the loss of the tooth. Sometimes for excessive bite pressure or a nerve that has become infected can cause mobility. So it’s important that a proper examination and testing needs to be carried out. A very important point that once a tooth is mobile, excessive pressure on a tooth with gum disease actually makes it worse very rapidly! 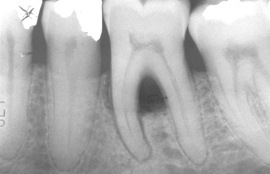 This is the area of the tooth where roots join together. There should be bone between the roots, but with bone and ligament attachment loss this creates a space under the tooth. In the upper molars there are usually three roots and the lower molars and upper premolars there are usually two roots. The bone loss may uncover one point of entry or space for germs to hide or multiple entries and greater bone loss. 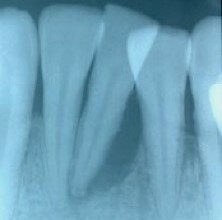 The more bone loss the more tooth/root that needs to be cleaned/treated. Some roots have natural grooves along the side of the roots that, if become exposed, through bone loss allow bacteria to tract always the way down the root, and this is very difficult to treat and clean. We will continue part three after Easter.